We are again joined by Dr. CR Oliver for a second incredibly deep discussion on the Bride of Christ. What can we learn about the relationship between Jesus and his true church? 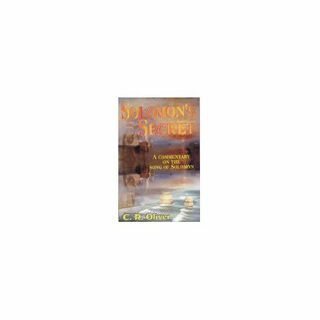 Pulling from the book Song of Solomon and our guest's expose on this book called "Solomon's Secret" we are going to address this subject in a revolutionar way. In this second round we are going to get into authority, privelege, the love of God, and praying in higher realm? Prepare to take notes! Dr. ... See More CR Oliver is a retired college professor and ordained minister. He is also the President of the Oliver Evangelistic Association International and the CEO of Zadok Publications. He is the author of a number of books including "The Son's of Zadok" and the book we will be discussing today: "Solomon’s Secret, A Commentary on the Song of Solomon". You can visit his website at www.zadokpublications.com.